Hey fellow book bloggers and book hoarders of mine hehe.. Thanks for stopping by. 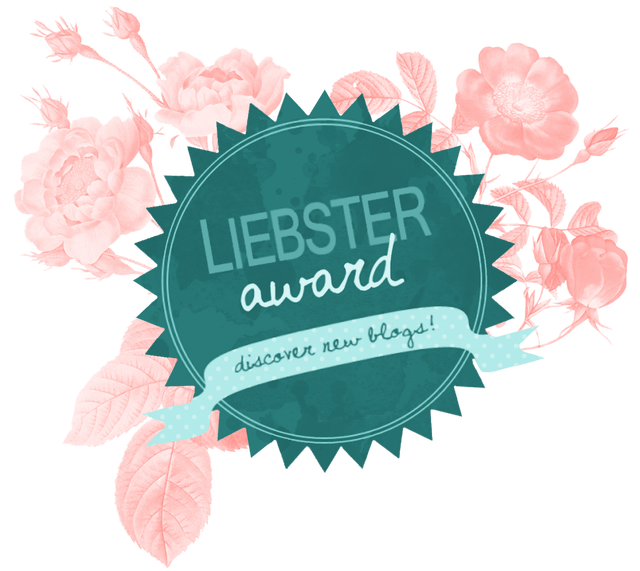 Today I am super happy to announce that I have been nominated by TeacherofYA for the Liebster Award. Please go to her blog for book reviews and more. Her writing is very sweet and makes you smile. At least, that’s what it does to me! She’s a teacher and wants to assign Marissa Meyer books to her students. I would love my English class much more if my teacher did the same. 2.Display the award on your blog. You can save the image and upload it to your blog post and/or put it as a widget on your blog! 3.Give 10 random facts about yourself. 4.Nominate 5-10 blogs you admire and have under 200 followers. 5.Post your answers of the questions given to you by the person who nominated you. 6.List these rules in your post. 7.Ask your nominees 10 questions after tagging them in the post. 1) My tabletops are always cluttered. At least one book is on top. I cleaned it on the weekend and it’s back to cluttering again during the weekdays. 2) I like to visit the library, public or university, and have a personal wish if I could read all books from the library. 3) I don’t pick up a friend’s call while I read. 4) I keep my phone on silent all the time. Not just at work, but at home too. I do call back if there’s a missed call, unless I want to read then I might not call back right away. 5) I like YA books because no complications of divorce & custody battle or money problems. 6) I like characters that are smart, clever, and witty. I like when they criticize people, it sounds as if they are complimenting them but in reality, it’s a criticism. I can’t do that personally so I admire those who can, even fictional characters. 7) I prefer to read my books during lunch at work instead of reaching out to other co-workers for a lunch date. (Loner, not good, but I tried to make it up by saying hi in the hallway). 8) I read word for word and re-read passages if they are cute and funny. That’s why it takes me longer to finish a book. 9) I am always reading two books: one ebook on my phone for on the go and one real book at home or when I have a little more time. 10) I am detail oriented. I will point out to you if I see a lint on your shirt or food stuck in your teeth. 1) What do you like about reading? 2) What do you like in your book characters? 3) Do you read before watch a movie or watch a movie before read? 4) Who is your favorite author and do you read all of his/her books? 5) Do you have a life outside of books? 6) Which book or series have you re-read? 7) What’s your favorite 3D movie? 8) What is your second language, if any? 9) What do you like about blogging? 10) Do you book shopping by yourself or with a buddy? I wanted to keep track of my reading. I find my reading notes everywhere: notebooks, file on one drive, single sheet of paper floating around, notes on iphone. It’s not organized. So I wanted to create a blog to keep it all in one place. Also, I want to connect with others who share the same interest as me. 2.What is your favorite series of all time? Harry Potter. To create something out of nothing is just amazing. 3.Which books, if stuck in a desert island, could you read over and over again? The Lunar Chronicles. I already want to re-read and I just read it part of last year and earlier this year. 4.What’s your favorite cover of all time? Based on the books I have reviewed, I would choose All the Butterflies in the World by Rodney Jones. Currently, nothing stands out, but I know there are a lot of awesome covers out there. 5. (Borrowing this one) Who’s your book boyfriend? 6.If you could travel anywhere in the world, where would you go? I want to go to Dubai or Egypt, before all these ISIS going on, but right now, travel in books is the safest I think. 7.What would you do first with a million dollars? I want to build a personalize library with reading nooks. I look through the pictures on Pinterest and really love them. 8.Which book disappointed you the most? I wanted to say Fangirl by Rainbow Rowell because everyone loves it and I couldn’t finished it. I lost interest many times during my read and I stopped completely on page 291. I do plan on finishing it someday though. 9.What would you do if you couldn’t read for a month? If can’t read books, can I read reviews from other bloggers? I do like to browse through other book bloggers when I can and learn of new books and to get to know other book bloggers in general. It’s awesome to get nominated and to nominate other book bloggers. I like that these awards are floating around because it’s definitely a great way to motivate us to blog more and to get to know more bloggers and to help us connect with each other with the same interest. Please don’t forget to link your post down below. I am looking forward to reading your answers! Thank you for the nomination! Great questions! Awesome answers! I’m going to share your post! I could read Lunar Chronicles over and over, too! Lol. Edward Cullen. I completely agree! Loved reading your answers! You rock! Oh, ok. You get him MWF, I’ll take TThS…Sun we alternate! Lol! !